Confident smirk in place, I watched as my characters finished a devastating attack on the last goblin guarding a closed cell that not only has a treasure chest, but also a large troll. Considering I had easily been able to take out every goblin in the mine, I assembled my team outside the cell and opened it, my gunner taking aim at the hulking beast. Watching the troll walk out of its cage and completely annihilate my team was painful, but I learned a valuable lesson. Take nothing for granted. 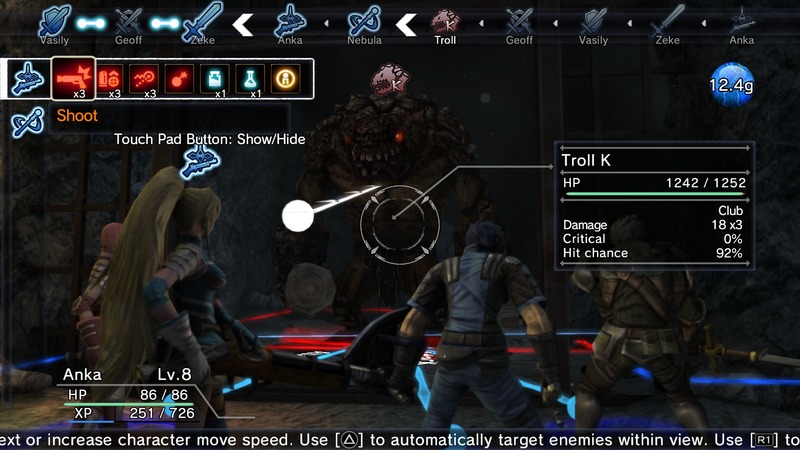 Going into Natural Doctrine, I had no idea what to expect, beyond it being a tough-as-nails JRPG. Personally, I don’t enjoy being frustrated (I have a 9-to-5 for that, after all), so I was rather hesitant to give this game a try. A week later and sleep successfully abandoned on the side of the road, I thought I would give you guys my first impressions of Natural Doctrine. 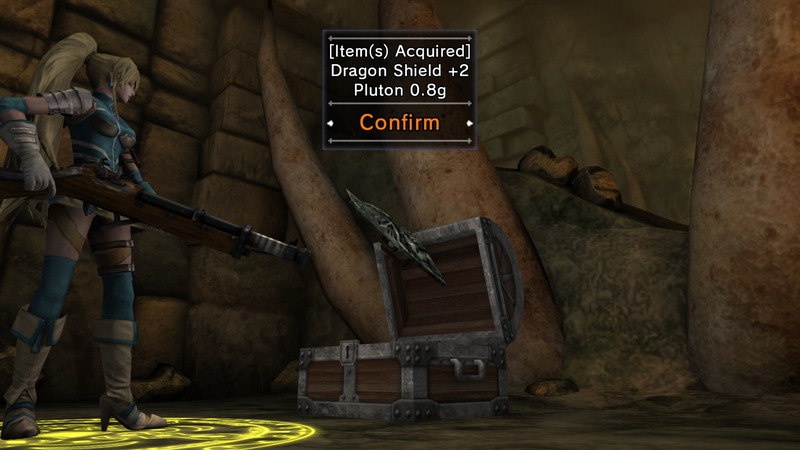 Natural Doctrine varies between dungeons, ruins and mines, but your menu screen is the same. You can decide which characters you will be using, level them up and completely change where their points from leveling up are allocated. You can listen to the characters chatter about their previous missions, how the missions affected your crew and where they want to go next, as well, as you look over a map of the area. 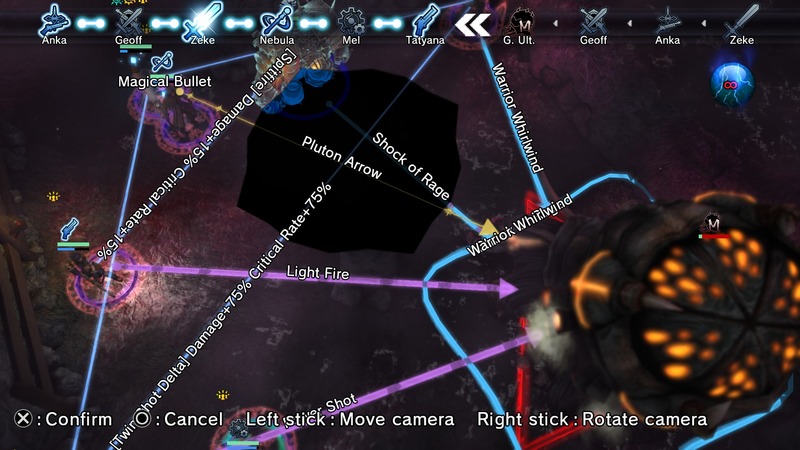 Areas that can be explored are, of course, displayed on the map. All in all, it’s a very simple setup. You outfit your characters (also known as Bergmen), then send them into whichever place on the map you want them to go. The combat system is a new take on strategic turn-based combat. The basic mechanic is simple; first, I go, then, you go. The originality comes in with the new Linking system. It lets you team up your party ahead of schedule to not only attack, but also get attack bonuses and critical hit percents depending on location and distance. I personally love the idea and what they were going for. However, it was very poorly executed in Natural Doctrine. For instance, being able to link up to take out enemies is a great idea, but enemies can do it, as well. So, that means, more often than you would like, combat becomes less about skill and more about luck. In a game where your enemies overwhelm you, you should feel accomplished when you managed to defeat them, not lucky. The bright lights mean things are getting critical! Not only can you focus on making sure you have the upper hand by taking out the beastie going on the next turn, you can also position characters to fit your play style. If you want to play more defensively, you can have your gunners behind your sword-wielding warrior types. If you want to be more aggressive, linking your attacks so that you’re doing the most damage possible can be done, as well. You can even do a combination of both. By making the game system this way, you can really play how you want, but, even still, its a nerve-racking,but rewarding system. Of course, that would be if it works as intended. In the game, you meet a variety of different characters — each with different roles on the battlefield. Between missions, they seem interesting and rather likable. However, while in a dungeon or battle, they have one line as a reaction. If a certain character is in charge of potions, get ready for them to say the exact same thing every time they give or drink a potion. It’s not limited to just potions, however. You also get to hear the exact same line every single time they attack or get hit. By the time you’re done with the tutorial, you will be sick and tired of it. Speaking of repetitive, did you ever change your text tone on your phone to a catchy little jingle you enjoy, but, by the end of the month you hate it and every person who insists on texting you before you remember to change the annoying little sound? Natural Doctrine took that basic idea, but decided to use it as background music during fights. There are exactly two different bits of music in this game while in a battle and they loop every 30 seconds or so. Without fail, you will be sick of the music less than three hours into the game. And this is coming from someone who never notices music in games! 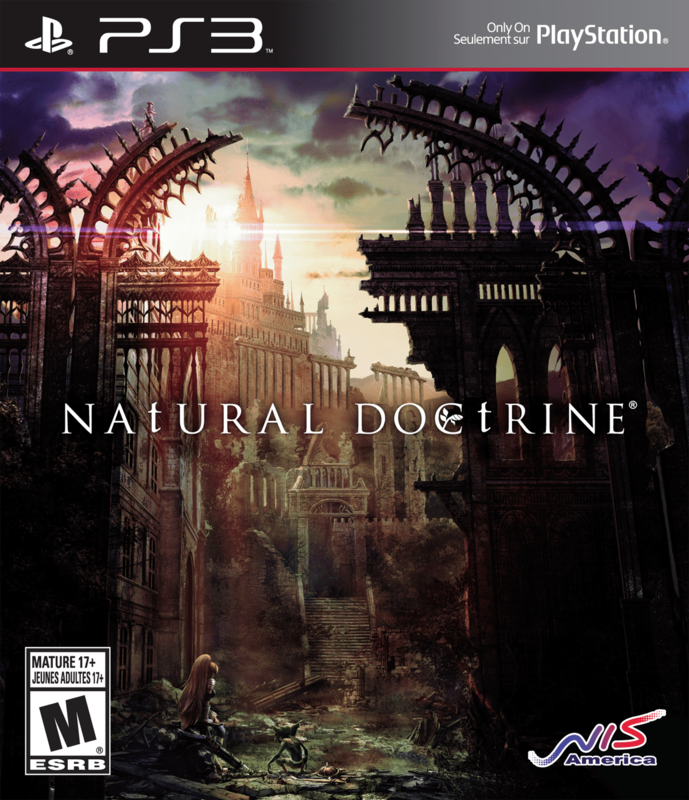 To wrap this up, Natural Doctrine is interesting, but, even on Easy difficulty, the game will have you stuck on the same part until you get lucky enough to advance. In the two hours it takes you to get past a simple area, you will listen to the same 30 seconds of music over and over while watching the same unskippable cutscene over and over. The game retails for $60 or your regional equivalent. This is asking a lot even for half the price considering how very broken the game is. Over half my time with this game was spent replaying the same level, so it’s hard to even try to grasp how long the game is. But, if I had to guess, I would say the game is somewhere around 12 to 20 hours, but because of how long you will spend on each and every level, it’s padded out to somewhere around 80 hours. Fun!